Abby never expected to be a frequent flyer at her local abortion clinic. But in a recent piece shared by pro-life group Save the Storks, Abby reveals the moment she’d found herself there for the second time in four months. Convincing herself it was just a “clump of cells,” Abby made her way toward the abortion clinic when a friendly stranger tapped her on the shoulder. Thinking back to her last abortion, Abby remembered she was not shown the ultrasound. 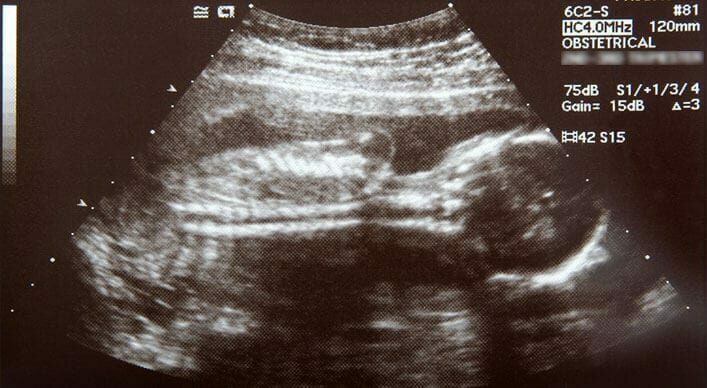 Still sticking to her mantra that it was just a “clump of cells,” Abby wasn’t sure there would be much to see. 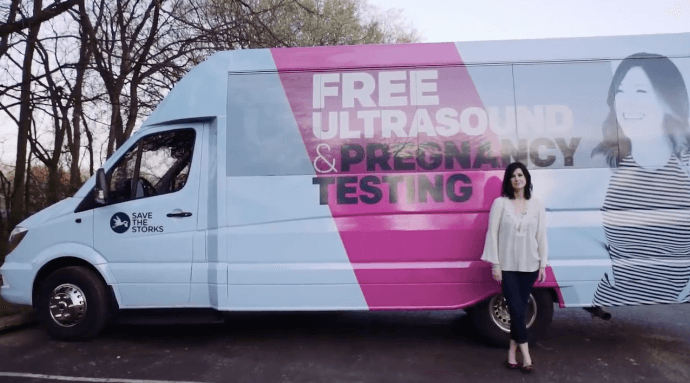 Still, she took the woman up on her offer and climbed onto the Stork Bus for her free ultrasound. As Abby lay there anxious about being late to her appointment, a nurse turned on the ultrasound screen and poured some gel onto her stomach. “Wait! There’s a heartbeat?” Abby thought, before realizing that the “clump of cells” inside of her was SO much more than she’d ever thought. Having not been given the opportunity to see her baby—growing, moving, kicking, living inside of her prior to her last abortion, the free ultrasound brought Abby to a place of realization. The lie she’d been told about it being “just a clump of cells” was exposed once and for all. “This is what I missed!” she blurted out before breaking down in tears and sharing her story with the nurse. It was in that precious moment on the Stork Bus when Abby’s life changed forever. Not only did she choose LIFE for her baby, she also was able to get the resources she needed to start healing from her previous abortion. My prayer today is that Abby’s story will reach someone who needs it and lead others who find themselves in her position to choose LIFE. To learn more about how you can help women choose life for their babies, visit SaveTheStorks.com, or follow them on Facebook.